Happy September!! A part of me is questioning "Where did August go?!?" but the other part of me is celebrating since it's my birthday month! And I have tons of fun things happening this month both in my life and for you! And today I'm sharing the first fun happening for you!! 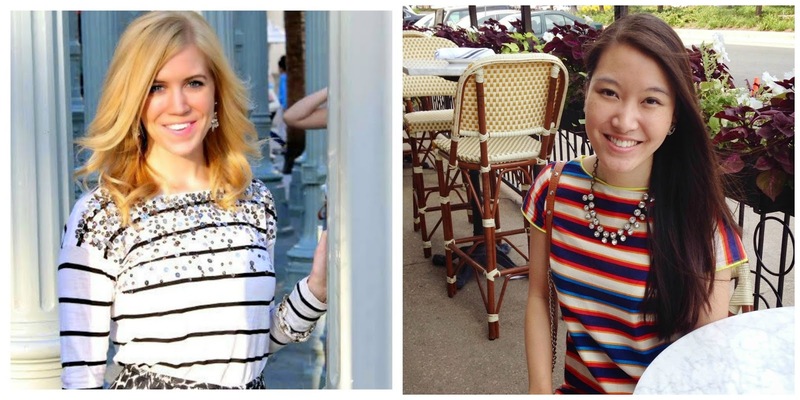 I'm co-hosting the Stylish Tuesday Link Up with Paige at Life's a Party Dress Like It!! I'm still sad summer is coming to a close so soon. So I'm trying really hard to stretch out this summer as much as I can and refuse to accept that Fall is coming. I will keep posting summer looks because I can. And this is one of my favorite looks from this summer so I'm super pumped to share it with you! For some reason this look made me feel like I was a Southern Belle in an episode of Hart of Dixie. Let me know what y'all think! This look was so beautifully captured by my friend N3Lau Photography. 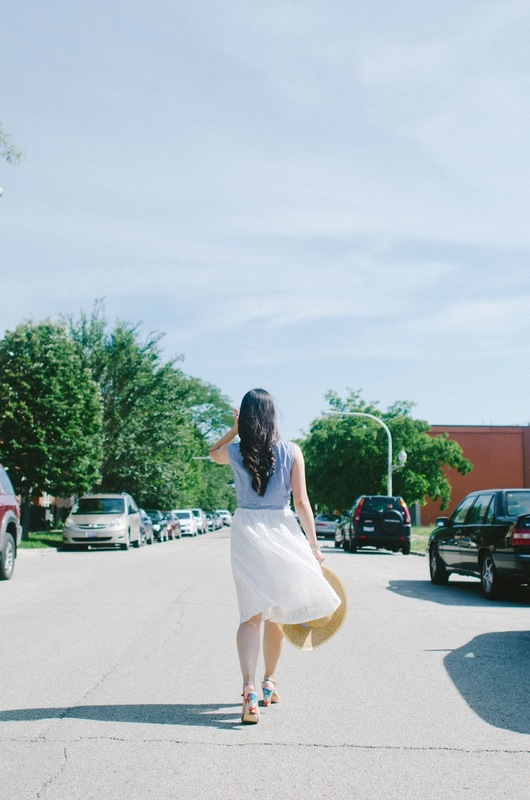 Okay, so evidently, I'm not a Southern Belle but I'm perfectly happy being a Chicago Urbaness. Now on to the Link Up! Be sure to follow both myself (Facebook | BlogLovin) and Paige (Bloglovin | GFC) to join the link up :) We are excited to see the looks you share with us! 1. 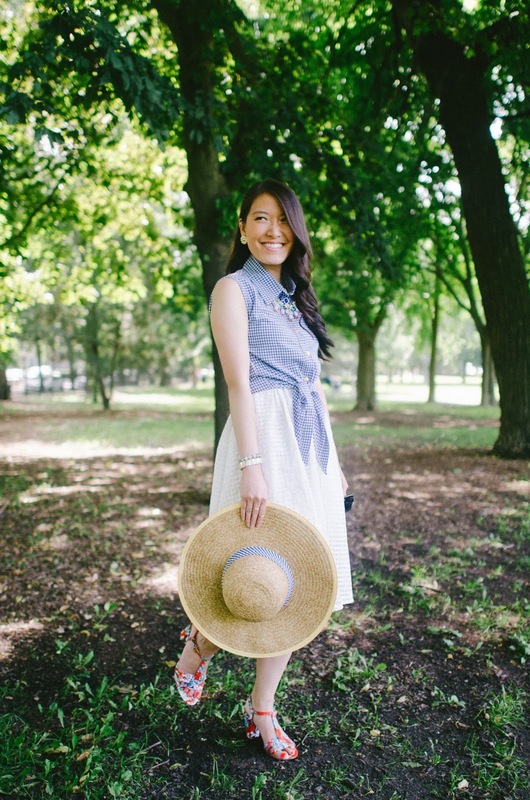 Please follow me via Bloglovin' or GFC and this week's co-host Grace In Style! Congrats on the co-hosting! 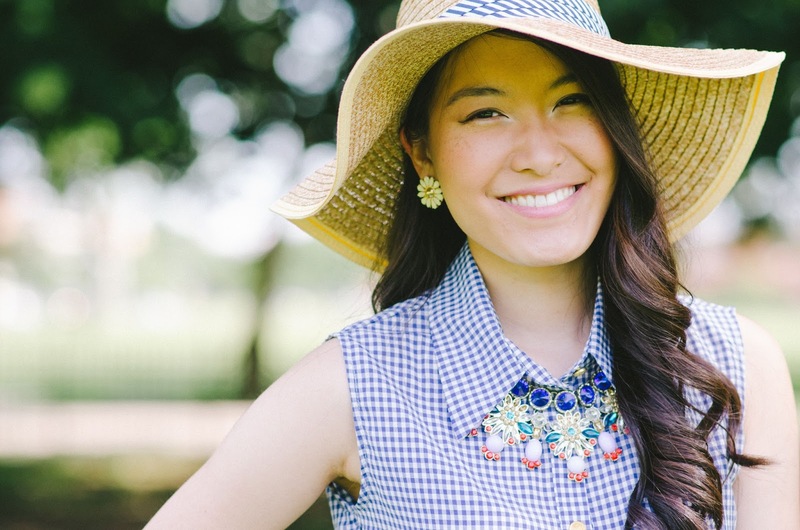 Love the gingham and the print mixing is perfection. And I agree, where did August go??? Thanks so much Debbie! I LOVED your look! Happy first day of work/school!! Perfect look to end the summer on! Thanks for hosting the link up and for stopping by! You are so sweet! And yes, I'm hoping the summer weather will stay a tad bit longer! I'll for sure stop by to check out your post! So glad we're on the same page! :) Thanks so much for the sweet sweet words, Cynthia! Love the gingham top and those floral sandals! Such a breezy look! Adorable look on you. Love the way you styled your look. Celebrating 2nd Anniversary of my blog. Very pretty and feminine look from top to bottom. 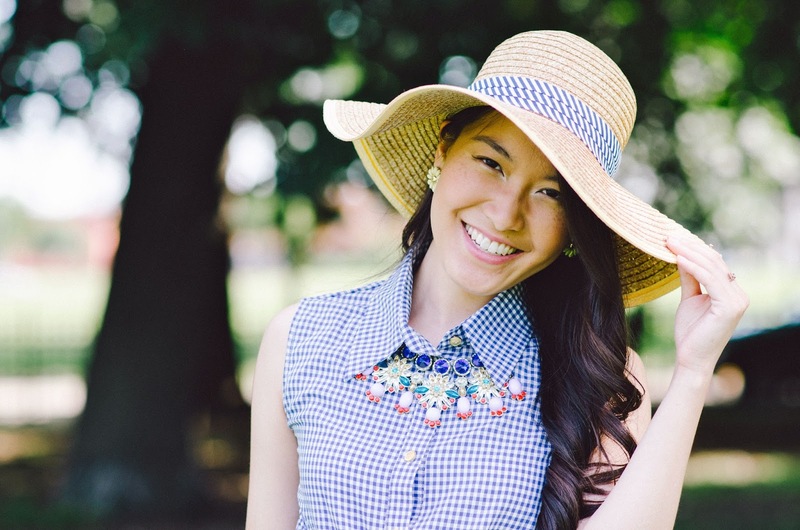 Your statement necklace is absolutely gorgeous! I love that hat!! its so cute!! 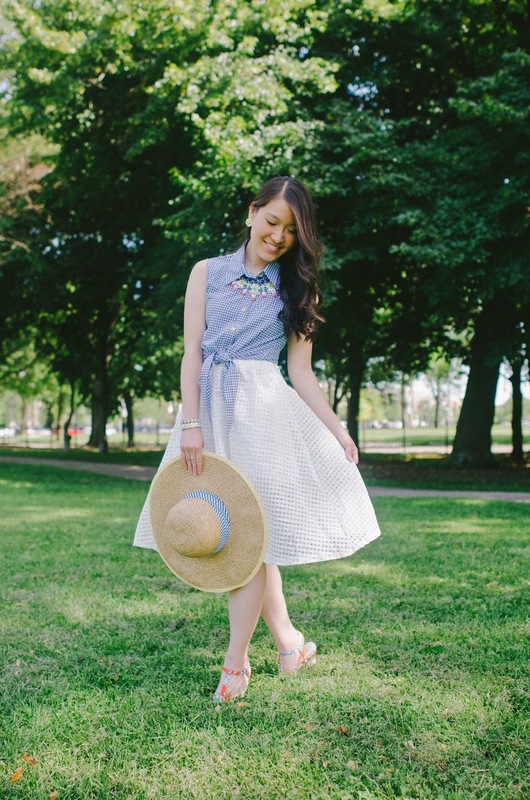 Such a cute southern belle outfit! I love the blue gingham! Thanks for co-hosting the link up! Thanks! It's a new favorite staple in my closet! Love this! Beautiful outfit and pictures. The structured skirt is awesome, as is the blue gingham shirt. And the hat! Such a super cute look! :) Happy Thursday, babe! 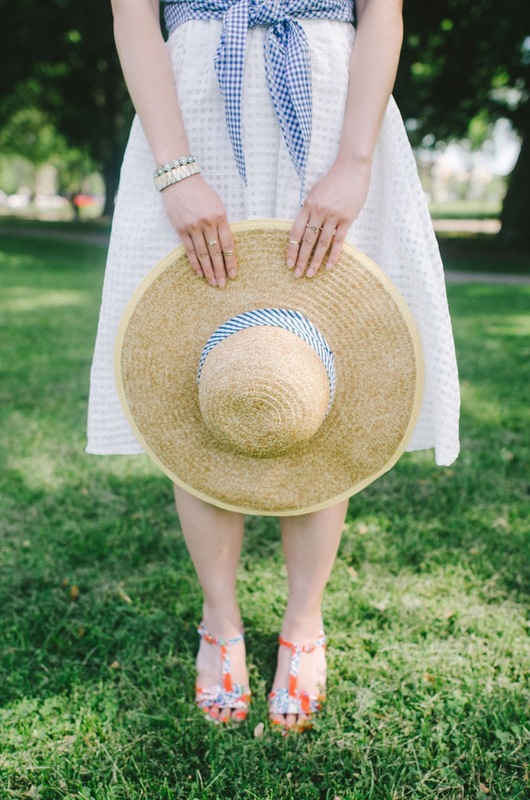 So happy I stumbled on your blog through the Friday Frills link up! Amazing look! Love your necklace! This is such a beautiful look! Your whole outfit is adorable! I love the shoes.